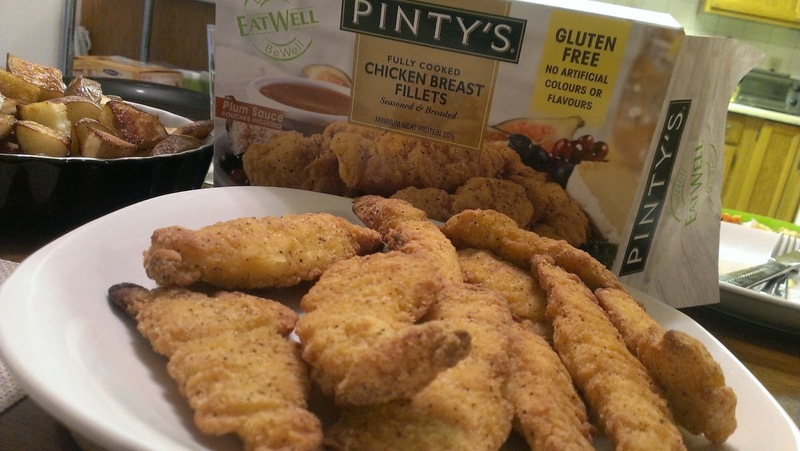 In February there was lots of chatter about Pinty's, which has ready made chicken fingers and now has a line of gluten free products. So far their gluten free products have been spotted at Safeway, Wal-Mart and Costco. We gave them a try mid February because we had to with all the hype. We couldn't be the only ones not running to the store buying them up! So what were the results? Absolutely tasty gluten free chicken fingers, that come with plum sauce too (that was quite tasty and sweet I might add!). These were much more crispy then the ones I make from scratch, but that doesn't mean I won't stop making my own. These are great when you need a quick meal with no prep time. We served them with some roasted potatoes and had a nice easy gluten free meal. These are really kid friendly, our daughter scarfed them down. Pinty's also makes a gluten free buffalo chicken finger which has been spotted at Costco. We have also tried their chicken wings (which are not labelled gluten free), but do not contain gluten ingredients.